This beautiful ground floor apartment is located in Hamilton. There are 2 bedrooms, both with twin beds in each, all decorated to a high standard. All linens and towels will be provided. There is a separate well-equipped kitchen available for guest use, as well as a reasonable sized bathroom that offers all of the essentials, including an electric shower. There is also a large cozy living room, complete with a dining area, everything you need to relax after a long day of work or play. Feel free to snuggle up on the couch and watch the flat screen TV, and use our complimentary WiFi to plan the next day's adventures! 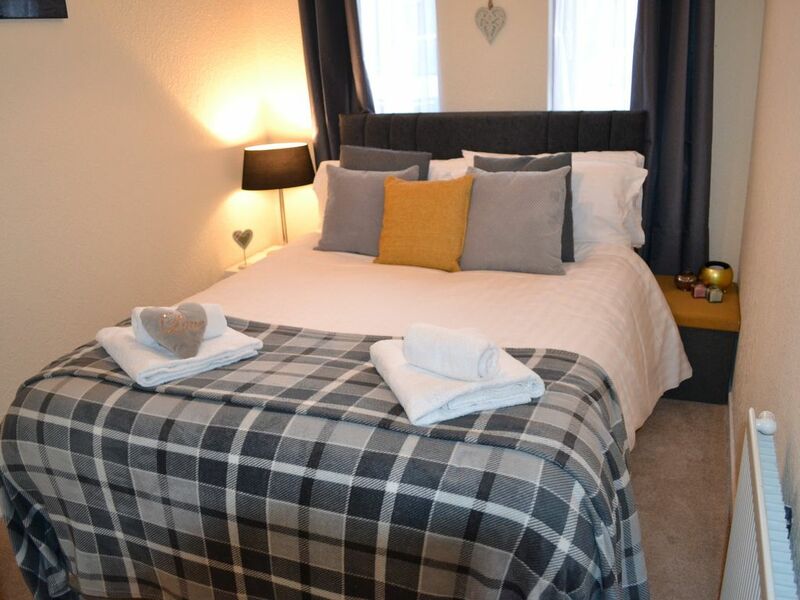 The apartment is situated in a great location and is just a short walk from Barry Douglas bakery, a fantastic little bakery, as well as many other local amenities. There are many local parks and attractions close by to explore, including Strathclyde Country Park, M &amp; Ds Theme Park, as well as several bars and eateries including the fabulous John Carrigan's bar and restaurant. If you choose to go a little further afield, then The EK Hub is great place to visit. There is one of Scotland's only Odeon Luxe Cinemas, an Ice Rink, Aerial Adventure Course, and a number of widely lovedeateries, such as Bella Italia, Pizza Express, Nandos, The Filling Station, and many more! East Kilbride Shopping Centre also offers a number of different shops and cafes, including many well known high street brand! There are great transport links right on your doorstep with trains to Glasgow in under 30 minutes. We were looking for a place in Glasgow, near the university. The map on the rental page for this unit showed it in this very area. In reality this unit is 30 minutes outside of Glasgow. The owner said they were clear that it's in Hamilton but I didn't know what that was. I thought it was the name of the neighborhood. The unit is in a quiet (boring) area, in a run down building. Every time we entered the building it smelled like pot but the unit never did. The unit itself is okay, not as nice as the photos make it look. It's also very sparse. There's no hairdryer, no wine bottle opener, etc. In the end it was okay. The building is quiet and parking is easy. We did have to take a lot of cab's, which we didn't expect, but if you're okay with that it could be okay for you. If you want to be in the center of all the action, this is not the unit for you.